The world’s finest automobiles are engineered and manufactured in Europe, but they don’t stay there! Many have made their way across the ocean to the Peach State. These are the automotive industry’s best vehicle makes and they deserve services by the industry’s best technicians–EUROFED Automotive. Our service experts are preferred over the local dealers because we treat you like family, not like just another number. Most high-end import drivers are particular about the mechanics they let handle their vehicle, and we understand. We’re fellow European auto enthusiasts, who just so happen to be import service experts. That means Audis, BMWs, Mercedes, Maseratis, Bentleys, Lamborghinis, and more European makes have homes away from home at EUROFED Automotive’s auto repair shops in Atlanta, Duluth, Snellville West, and Snellville East. It’s not enough just to purchase excellence. Excellence must be maintained. EUROFED Automotive knows this better than most, if not all, dealerships and general auto repair shops. You may have noticed that the Snellville and Duluth highways are packed with high-end and high-performance European imports these days. 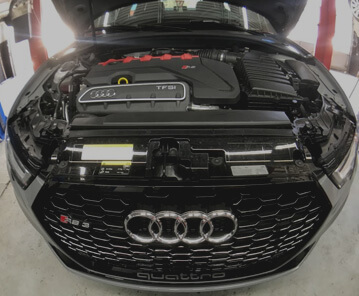 The arrival of EUROFED Automotive’s top quality, full-service auto repair facility in 2014 has had a lot to do with it. We know that receiving the proper services weighs heavily on the mind of the European import owner. Your European import is in a class by itself. Whatever you’re driving and whatever investment you’ve made in quality road travel, we’ll protect it. That’s our job, our passion, and our promise to our customers. We want motorists coming to us because they know when they leave their vehicle in our qualified hands, they’ll get it back in optimal condition. EUROFED Automotive Automotive’s here because your European import deserves better! If you’ve given the general repair shops a shot, you’ve probably seen why your vehicle needs a specialist. Get all the high-powered performance and enhanced driving experiences that you expected from your import. 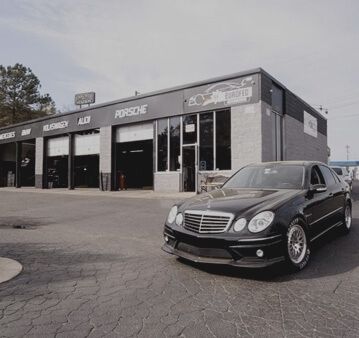 Let the team at EUROFED Automotive keep your foreign auto ready for the road, like it’s fresh off the showroom floor. Give us a call today at one our convenient locations — 470-349-8135 (Atlanta), 770-674-5659 (Snellville West), 678-404-5051 (Snellville East), 678-878-3522 (Duluth) — to schedule an appointment. You can also schedule online by using the link below! We are your go-to shop for any and all European auto services you may need. 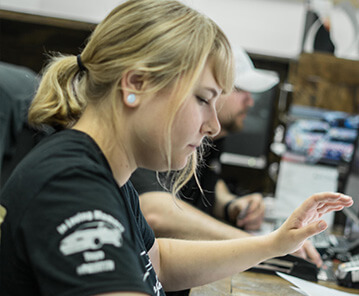 From oil changes to transmission service, and everything in between, our team can help with all of your vehicle’s needs. We know the ins and outs and special needs of import cars, and use only the best parts for all of our repairs and services.